American Legion Post 150 welcomes as members all Veterans, active servicemen, and active servicewomen who served (or are currently serving) in the nation's armed forces during the eligibility periods designated by Congress. If you are a veteran, love our country, respect our flag, and want to serve your community, then please join us! 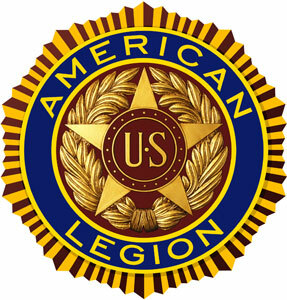 First, determine if you are eligible to join The American Legion. There are three ways that you can establish eligibility. 2. You were honorably discharged after serving at least one day of active duty in the Merchant Marines during the period Dec. 7, 1941 - Aug. 15, 1945. 3. You are currently serving honorably in either the U.S. Army, the U.S. Navy, the U.S. Air Force, the U.S. Marines, or the U.S. Coast Guard. If you are eligible, print out the Membership Application, fill it in and either mail it or bring it to a Post monthly meeting. You can either leave the name of recruiter blank or fill in the name of a member. Enclose a check for $35 made out to American Legion Post No. 150.